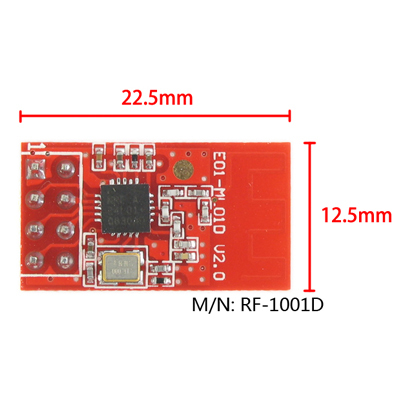 RF-1001D is our latest 2.4G wireless communication module. Currently, it has a stable mass production. It is suitable for a variety of scenarios. 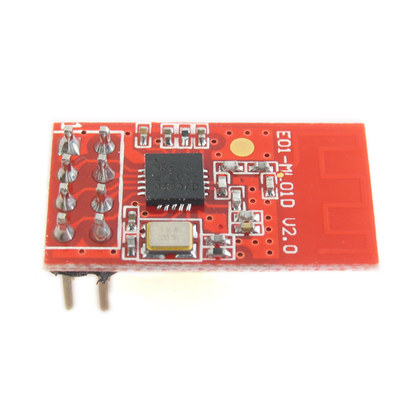 The main chip of RF-1001D is nRF24L01P, and it is imported from Norway. The resistance and the capacitance are made of imported materials, especially crystals, we use a wide temperature range with high precision crystal, in order to ensure its industrial characteristic. About 1uA. 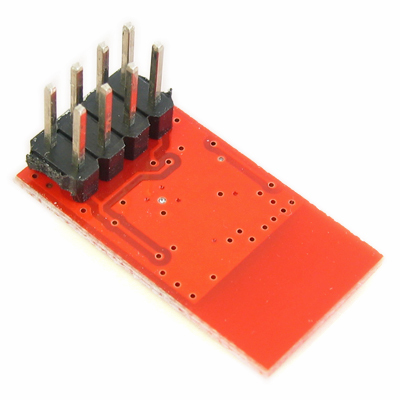 Test Conditions: CE=0, power-down mode, VDD=3.0V.